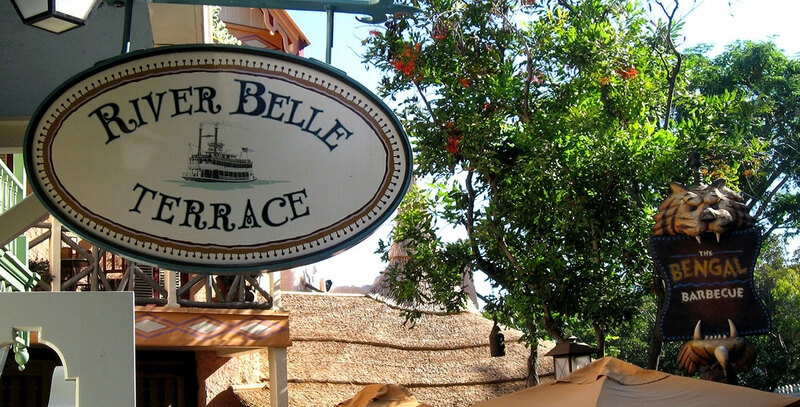 River Belle Terrace Frontierland restaurant at Disneyland; opened in 1971 with Oscar Mayer Co. as sponsor. Formerly Aunt Jemima’s Pancake House, Aunt Jemima’s Kitchen, and Magnolia Tree Terrace. Later sponsored by Hormel and Sunkist. Pancakes have always been the specialty for breakfast here, and the kids can even get one shaped like Mickey Mouse.